Concealed blinds (or concealed ceiling profiles) are a system for motorised roller blinds specifically for hiding blinds in the ceiling. Architects and interior designers can now offer their clients a new level of sophistication. Blinds no longer need to encroach on openings, as they are hidden in the ceiling allowing you to maintain a clean, uncluttered stylish look. 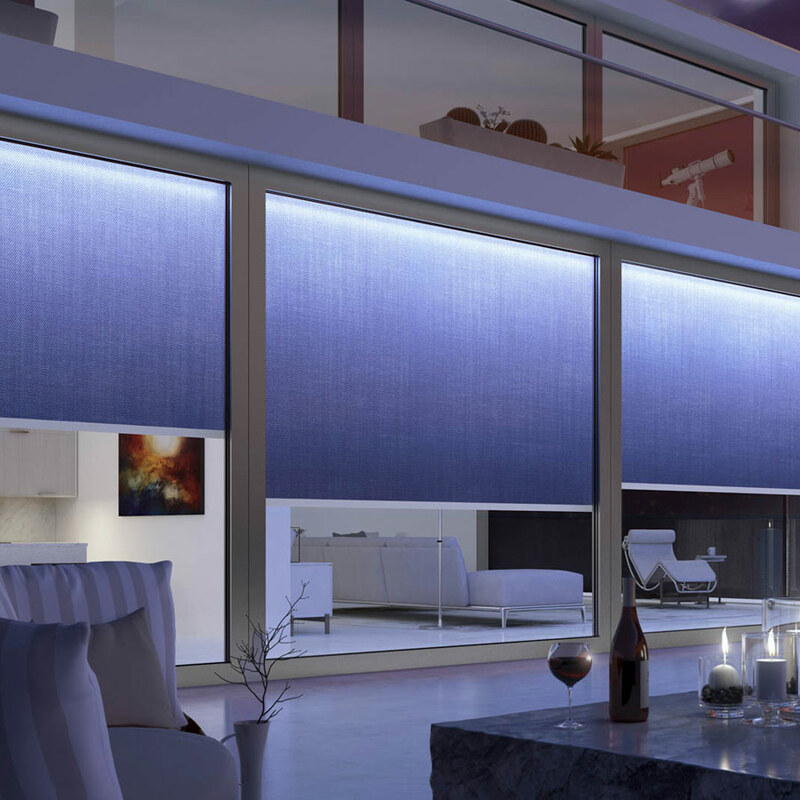 Advantages in using the concealed system are that the area is prepared and completed within the project, the blinds do not have to be installed until after the building work is completed and also remain accessible long term which makes maintenance an easy prospect. 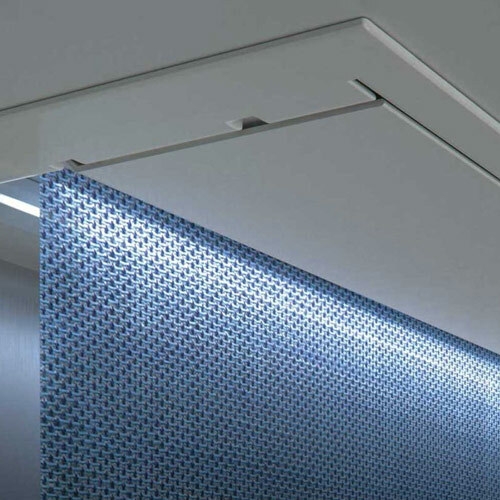 The blinds are situated within an aluminium box for easy installation in the false ceiling which also makes removal a very simple process since the headbox is opened from the bottom. Any questions? Feel free to Contact Us and we’ll get back to you with professional answers and advice. Otherwise, please click the request quote button below for a free quote direct to your inbox.